Champions League T20 2013 , the much-awaited Twenty20 cricketing extravaganza, is all set to kick off. Over the next week we will preview some of the formidable teams taking part in the tournament. 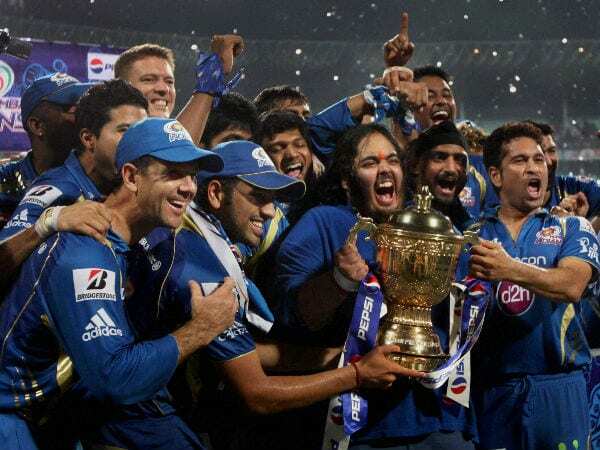 Today we take a look at the present IPL Champions Mumbai Indians. Mumbai will be high on confidence after winning the 6th edition of the Indian Premier League (IPL). This will also be Sachin Tendulkar’s final tournament in Mumbai Indian colours, as he had already announced that he will not take part in next years IPL. Mumbai Indians would like to give their icon player a fitting farewell. Can Sachin Tendulkar and the Mumbai Indians achieve the double? The strength of Mumbai lies in its middle order. It comprises of some fine stroke players like Rohit Sharma, Dinesh Karthik, Glenn Maxwell and Ambati Rayudu. The team boasts hard hitting batsman like Kieron Pollard, who will come handy during huge run chases. The spin department is also a strong link in the side, as it has players with International experience in Harbhajan Singh and Pragyan Ojha. The biggest setback for Mumbai will be the absence of Malinga who has ruled himself out of the Champions League T20. In his absence, Mumbai’s bowling workload would be heavily dependent on the Australian left-armer Mitchell Johnson. Johnson, who has been in and out of the Australian team for the past three years, had a terrific IPL this season. Another weak link concerning the Mumbai Indians’ squad is their highly unstable and unsettled opening combination throughout all the IPL editions. They have struggled to find a suitable opening partner to Sachin Tendulkar. Batsmen: Sachin Tendulkar, Rohit Sharma, Ambati Rayudu. All Rounders: Keiron Pollard, Rishi Dhawan, Dwayne Smith, Glenn Maxwell. Bowlers: Harbhajan Singh, Akshar Patel, Nathan Coulter-Nile, Mitchell Johnson, Pragyan Ojha, Abu Nechim. Wicket Keeper: Dinesh Karthik, Aditya Tare.